The whole Internet of Things (IoT) and connected devices boom is really in full swing, with companies scrambling over themselves to produce hardware that appeals to those consumers looking to get in on the action, and of course, Apple is one of those companies. Given the increasing reliance of IoT devices on Apple’s home-automation framework, Apple is looking well set to be the front runner where home automation is concerned, so grabbing a HomeKit enabled gadget for your home automation needs is a step in the right direction. 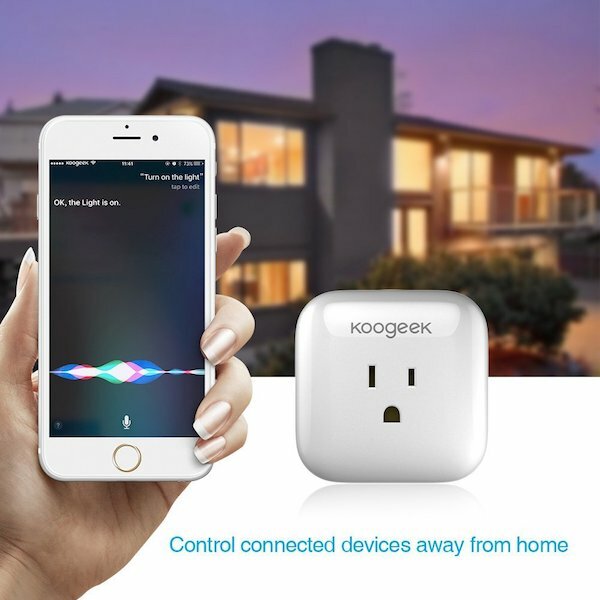 If you’re looking to add some intelligence to your home, but want to do it frugally and with Apple HomeKit support, which by the way has been there since 2014, then check out these excellent options. For those who don’t know, with Apple’s HomeKit compatible hardware, you can control various devices in your home by simply asking Siri to do it. If you have an Apple TV or iPad always at home, you can use Siri on iPhone, iPad or Apple Watch to control HomeKit devices remotely from anywhere in the world. Want to turn lights on or off? Simply ask “Hey Siri, turn on the living room lights” or “Hey Siri, turn bedroom lights to blue color” or “Hey Siri, turn off all the lights”. Want to lock or unlock your door using Siri? Ask “Hey Siri, lock the main door of my house”. For thermostat control, you can ask Siri to increase or decrease the temperature depending on what you are feeling like. 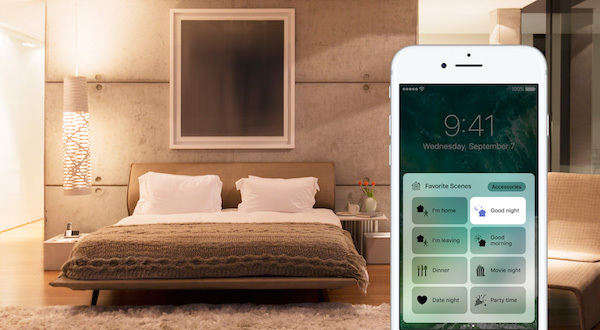 With Apple’s HomeKit, the possibilities of using Siri for home automation are endless. 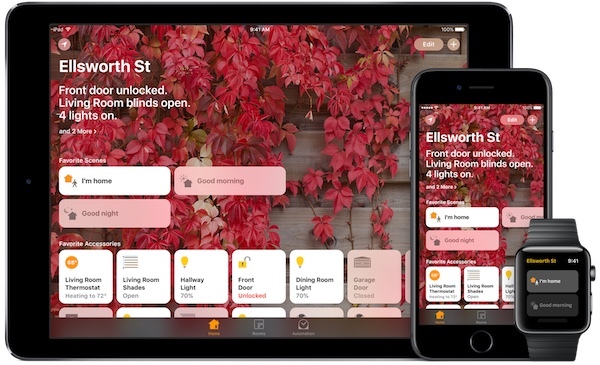 With iOS 10, HomeKit goes one step further with the native Home app on iOS devices and Apple Watch that lets you manage, organize and control HomeKit-comaptible accessories from different third-party companies into one single interface. iOS 10 also introduces a dedicated panel in system-wide Control Center so that you can control your home automation accessories even without launching any app. 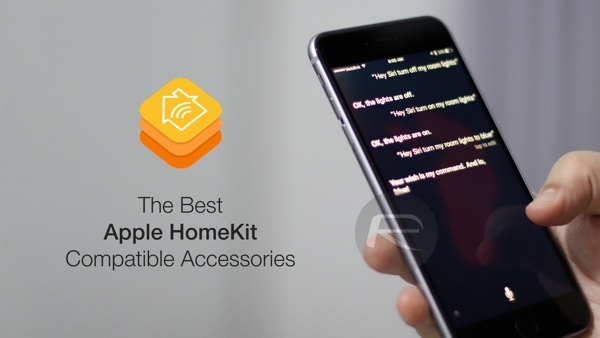 To help you get started, we have compiled a list of our favorite HomeKit compatible accessories that you can install in your home for use with Siri voice control today. 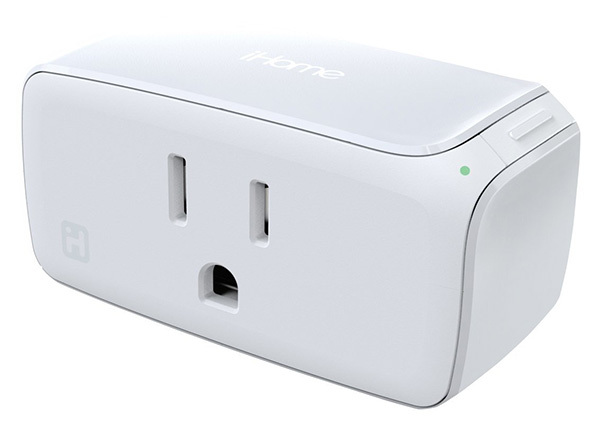 The iHome iSP5 serves up seamless Apple HomeKit and Siri support, but also extends a little beyond that by offering support for the Nest, Wink and Amazon Echo platforms. Plugging things like lamps, heaters, air conditioners and television sets directly into this smart plug will allow you to control their power state through app, Siri, and more. The Philips Hue range of intelligent bulbs probably don’t need much introduction, but maybe the Hue Bridge does. The bulbs and lamps may be what ultimately produces the light output and make everything in the home pretty, but it’s the Hue Bridge that’s the real intelligence behind the operation. 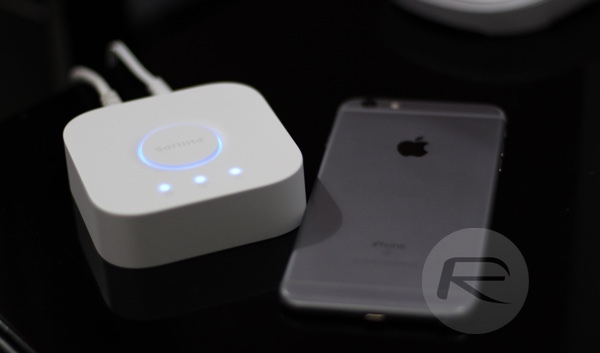 The second-generation Bridge connects directly to a router and is compatible with Apple’s HomeKit framework. Whether you have older Philips Hue bulbs or the newer ones, as long as you have this new HomeKit-compatible hub, you can control all your Hue light bulbs with Siri. What could be more empowering than being able to instantly control and switch off your devices using a simple touch of an app, or voice control via Siri? Being able to do all of that and see exactly how much energy individual appliances are using. Sound good? Well that is indeed all possible with the Elgato Eve Energy smart switch. The August Smart Lock is undoubtedly a really awesome piece of engineering. And now with 2nd-generation model, it offers HomeKit support for control via Siri, which makes it even better than it used to be. This little beauty essentially protects your home and turns your smartphone into a key. You can lock and unlock your property, control exactly who has access at any given time, and even keep an activity log of who enters and exists 24/7, all from either an app, or using Siri. This one comes as a little bundle of goodies. Purchasing this will get you a Caseta Wireless Smart Bridge, two Caseta Wireless in-wall dimmers, two Pico remote controls, and the accompanying accessories to fit them all in the home. Functionality offered is things like setting schedules for your lights and using Apple’s Siri to get immediate control over your scenes and lighting environment. It’s probably fair to say that manual management of heating systems in the home can be fairly frustrating and lead to a number of issues being experienced. Either being too hot or too cold. Using more energy than you need to thanks to having the heating on when you don’t actually need it to be, and so on. 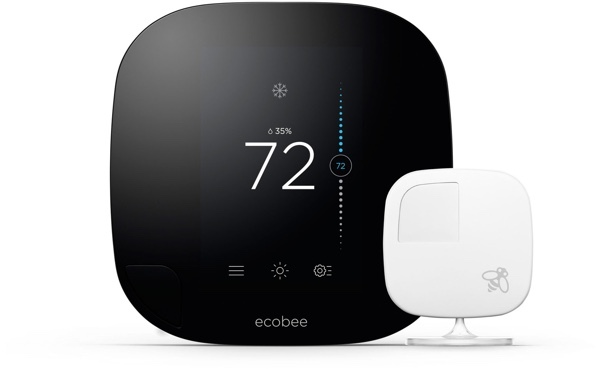 Smart thermostats like the Ecobee3 look to remove those issues by learning from how the home is used and adjusting the heating schedules accordingly. And with this 2nd-generation Ecobee3 model, you can control your heating and cooling system all using Siri voice control on iPhone. Ever been sitting at work and wondered if your home door or windows are open or closed? Well, with this particular Elgato invention you can find that out in a hurry, as well as gain insights into how often entrances to a property are open and left opened. And since it’s HomeKit compatible, what that means is that you can simply ask Siri whether your door or windows are left open or not, from anywhere in the world. 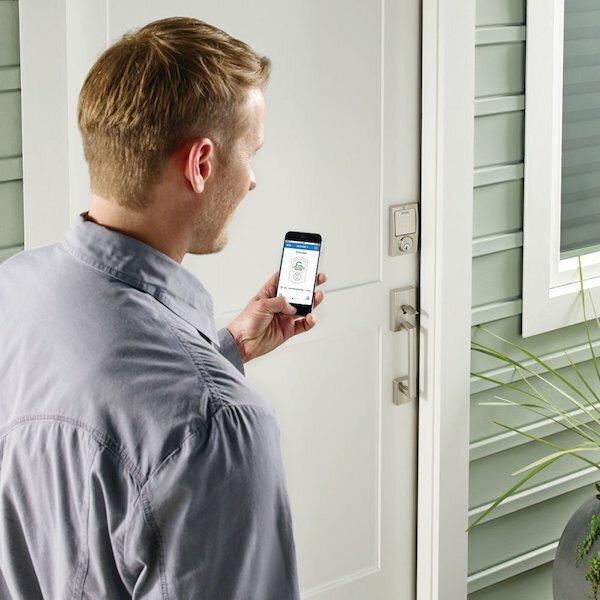 If monitoring windows and doors isn’t your thing, then how about a sophisticated sensor that can not only connect to your smartphone and Siri, but also sense indoor air quality, temperature and humidity? 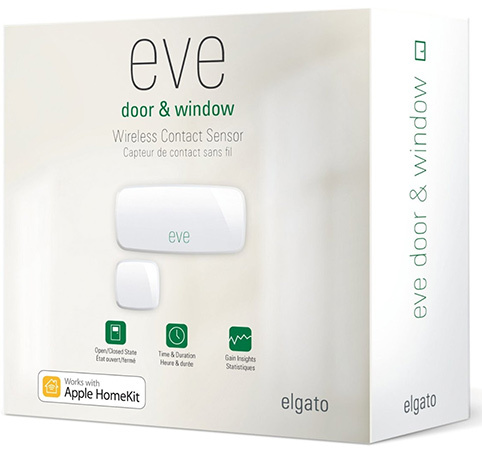 The Eve Room Sensor is probably what you’re seeking. 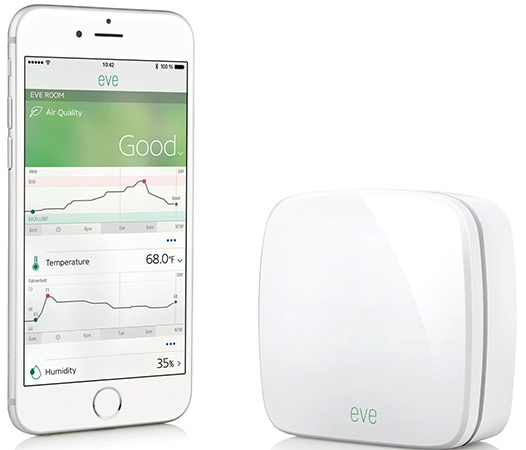 There’s Eve Weather Sensor too which can be used outdoors to monitor weather, humidity and air pressure. Like any intelligent device, these two can provide an excellent historical view of your property and how its internal and external environment changes over time. Intelligent thermostats rose to province when the now Google-owned Nest was launched, but there’s now a plethora of options to choose from. 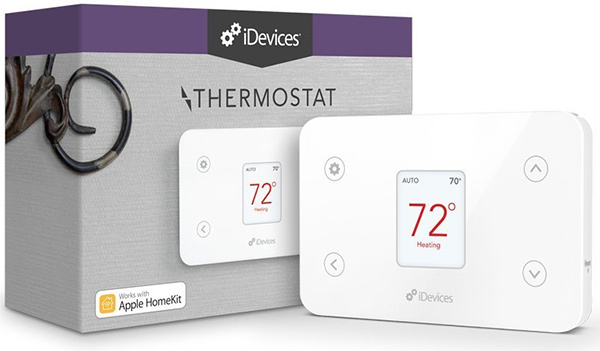 The iDevice Thermostat packs complete HomeKit compatibility, allowing users to give commands to Siri like “set my home temperature to 60-degrees”, and so on. Wherever you have your iPhone with you, you’ll be able to control this thermostat using voice or app. 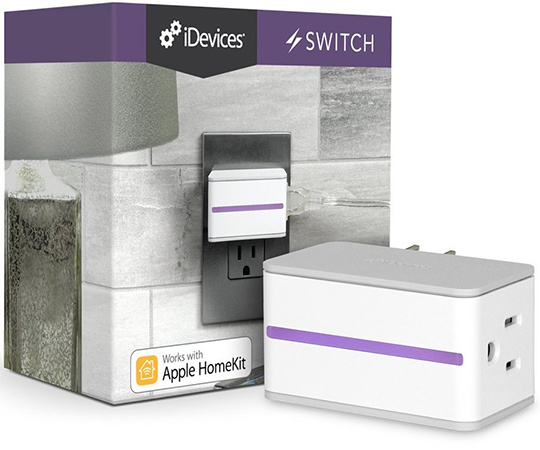 In a similar fashion to the iHome Smart Plug, this iDevices Switch offers the same level of functionality. Accessories can be plugged into the socket to monitor and schedule electric appliances throughout the home. Of course, with HomeKit-compatibility, users are able to control all of those connected devices by using Siri voice commands. 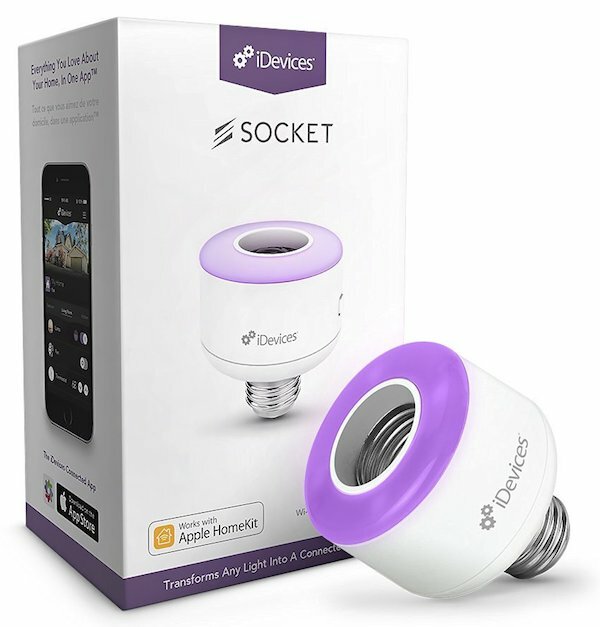 Want to convert your existing light bulbs into HomeKit-enabled light bulbs? iDevices Socket is your best friend in that regard. Simply plug your existing light bulb into it and then control it using Siri or the Home app in iOS. 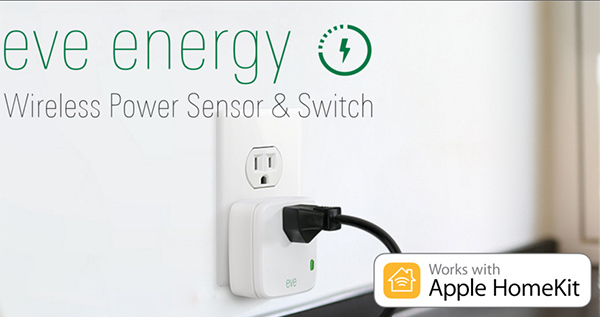 A smart plug that also offers HomeKit compatibility. In addition to that, it also monitors power consumption so that you can check how much energy the electric item you have connected into it is consuming. 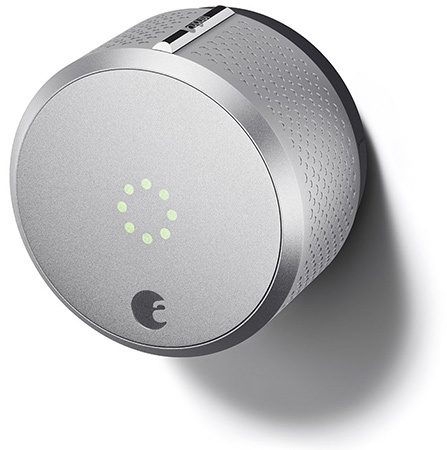 A high quality deadbolt coming in from a well known brand offering full Apple HomeKit compatibility. In addition to Siri voice control, the deadbolt can also be controlled using Apple’s Home app as well as Schlage own dedicated app for the deadbolt. That’s it for now. We’ll keep updating this post though with other new and interesting HomeKit-compatible devices whenever we come across any. Make sure you keep checking! Still waiting for smart blinds. Open and close all blinds automatically with my voice lol. That would be neat. Maybe you could offer a link? So do you always need a bridge to use HomeKit enabled dimmer light switches? I see quite a few for sale on Amazon but they don’t clearly say if a bridge, or Apple TV is always required. 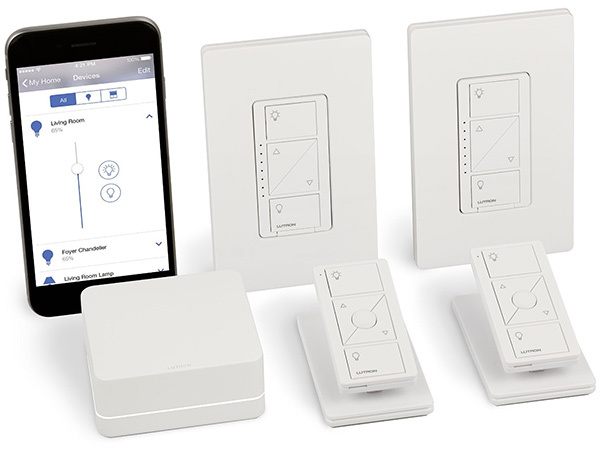 The Lutron stuff looks like you for sure do, but what about Koogeek light switch(dimmers)? AppleTV and/or Bridge needed or they just work?